Water points for wet trades’ use have been developed in order to minimise water wastage, prevent contamination of grey water systems, and consider client and building insurers requirements. 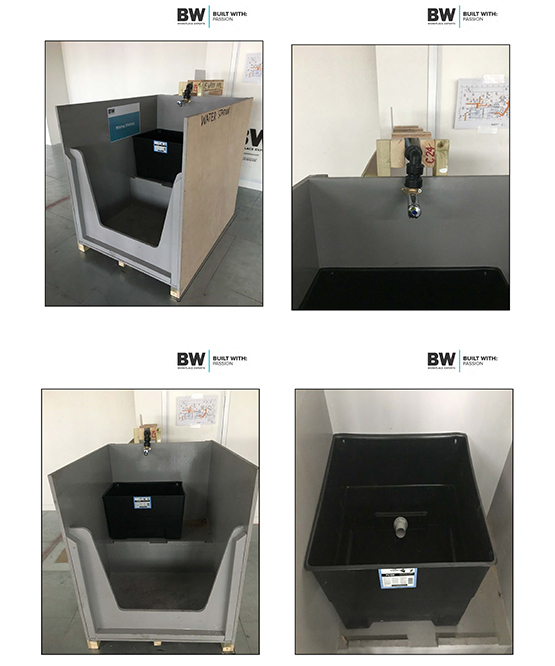 The dedicated water points for wet trades provide a central point for operatives to obtain water and clean tools on site in a controlled, manageable manner. Generally, this is a clean efficient way of providing water on site for wet trades and minimises the use of water whilst mitigating the risk of flooding.